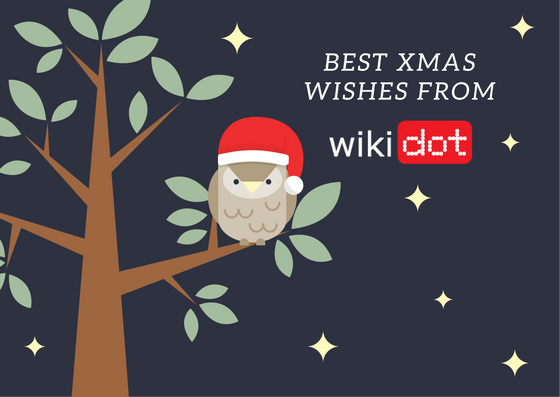 Me and the Wikidot Team would like to wish you all best. Whether you are going to celebrate upcoming holidays with your families or friends or you are just going to get some rest and prepare for new challenges — may this time fill your heart with peace and happiness! Best wishes! Also from Vienna Merry Chrismas to all in the world! Happy new and new very new I am wishes new new new. For my safe I wishes big gift for everyone I wish a gift. And do for you safe best everything. For you for me fairlynough.hohoho. tinger bell. Tingling bell going on the way. Thailand have no any many snow.Big sad.Where is snow hohoho. In Poland we had snow.